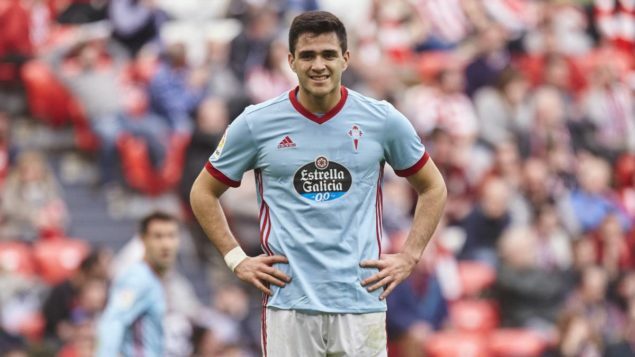 Celta Vigo star Maxi Gomez could be available for half his £45 million exit clause in summer amid links with Liverpool and West Ham United, according to a Spanish newspaper Diario Sport. Uruguay international has been a Vigo player since the summer 2017 and has taken to life in Spain’s top flight very ease. After scoring 18 goals in a staggering debut campaign, the old-school striker has hit the target nine times in 2018/19 season. As a result, Maxi has allegedly caught the eye of sides in England. Bleacher Report believe that the Hammers will make a new approach to land the would-be ‘new Luis Suarez’ in the summer if they can raise money via the sales of a host of fringe players. Mundo Deportivo, however, claim that Maxi would snub the chance to join the Reds after being recommended by his national teammate and former Reds striker Luis Suarez. So recent reports from Sport should attract even more interest from London and Merseyside. It is reported that the star will be available for a cut-price £23m sum if Celta Vigo are relegated from the first tier. The club slipped into the relegation area at the weekend and are just 3 points off the bottom. So West Ham United might not even have to sell a one or two players in order to seal a deal. The Spanish club signed the South American star from the Uruguayan side Defensor for a reported €5 million fee and Maxi has turned out to be a bargain for Vigo-based club.